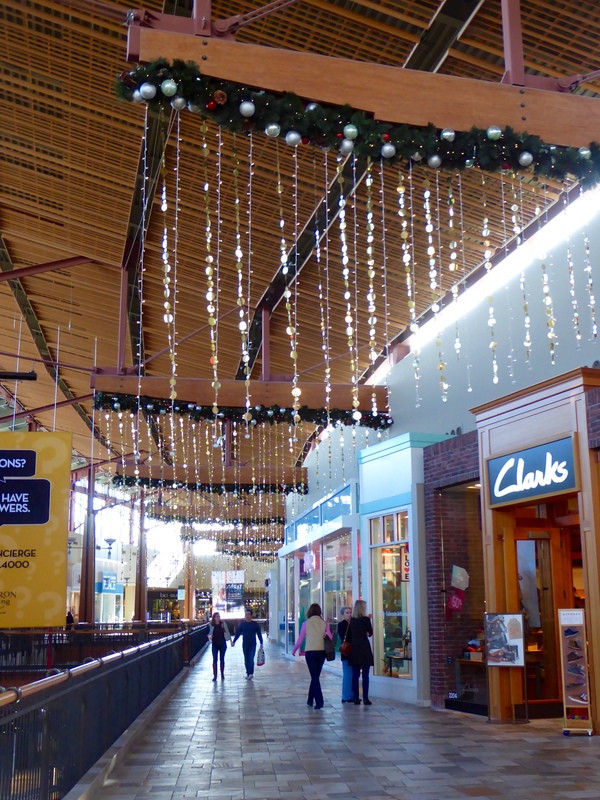 Our moms love to go the malls to see Christmas decorations. We try to go when they open in the morning, during the week. It is not so crowded then. 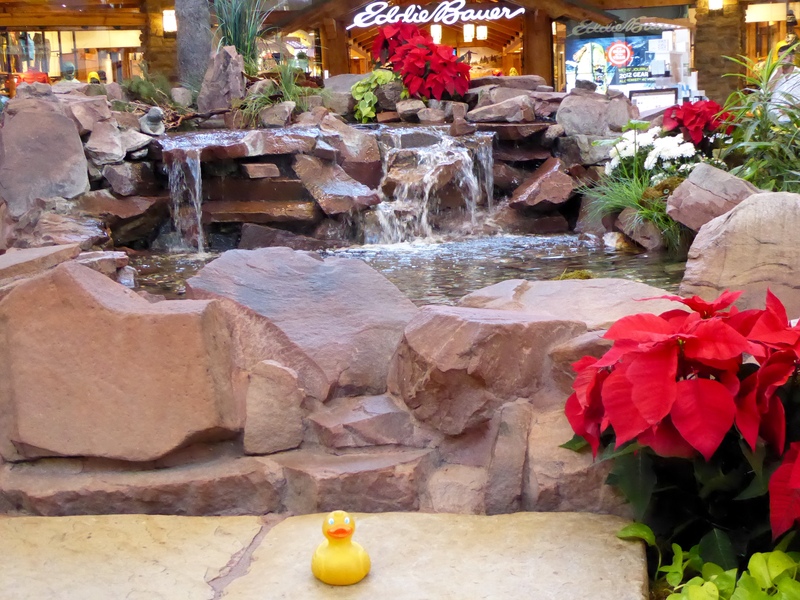 I, Zeb the Duck, visited three malls this month. First I will show you want I saw at PARK MEADOWS MALL. Of course, I wanted to find Santa. Here I am on the enter sign. I really like this Santa house. 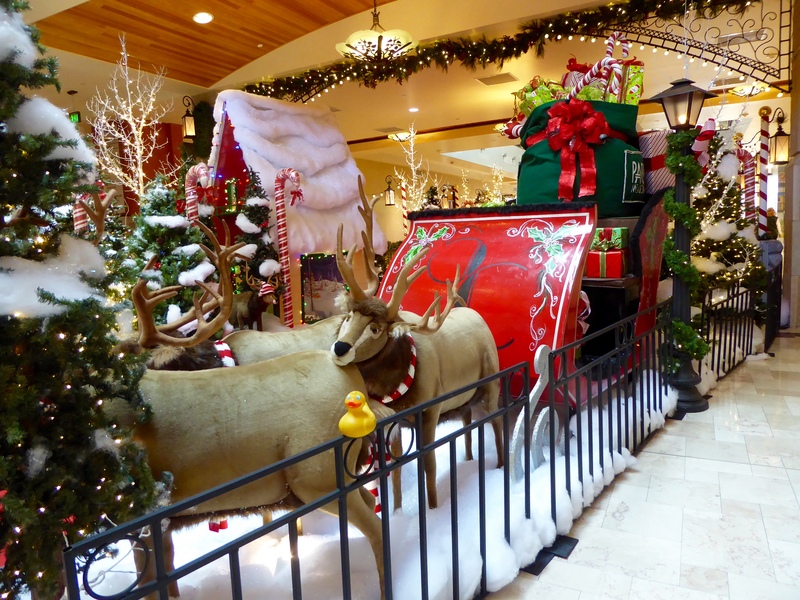 We even have reindeer pulling a sleigh full of presents. Next we headed to Nordstrom’s. Isn’t this red horse cute? Especially with me, Zeb, riding him. We are pulling the cart. 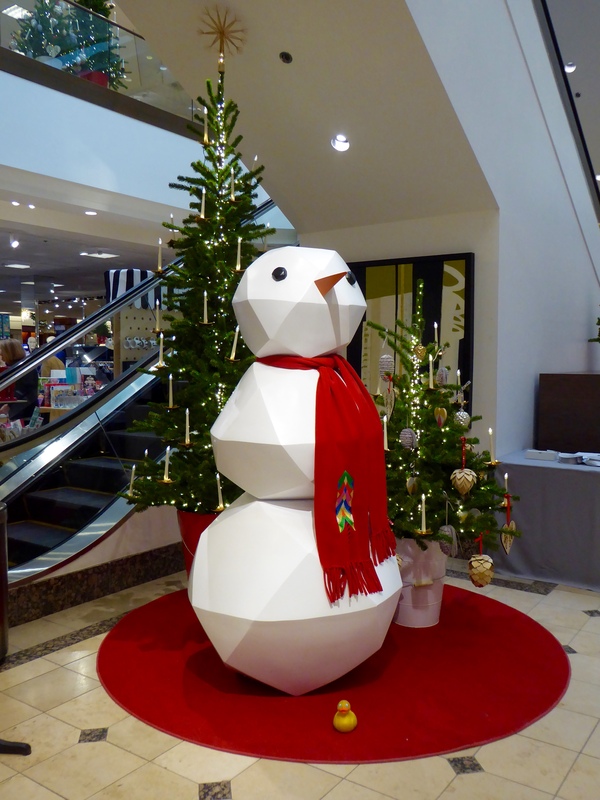 The snowman is cheery. 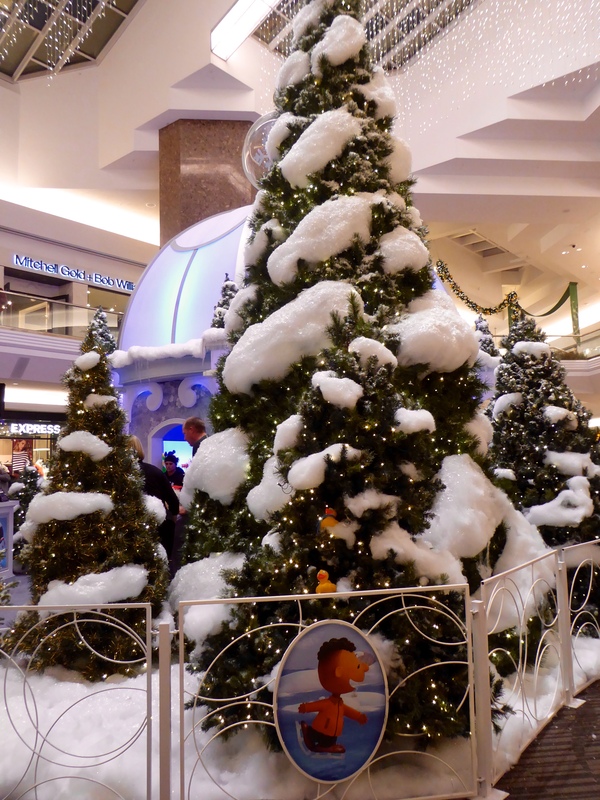 Going through the mall, we noticed the fountain is also ready for Christmas. Walking down the halls, these lights make us smile. I wanted to be sure you could see these decorations, also. Christmas decorations everywhere. I love it! I really like the pine branches and huge red ornaments. We decided to have a snack at the food court. 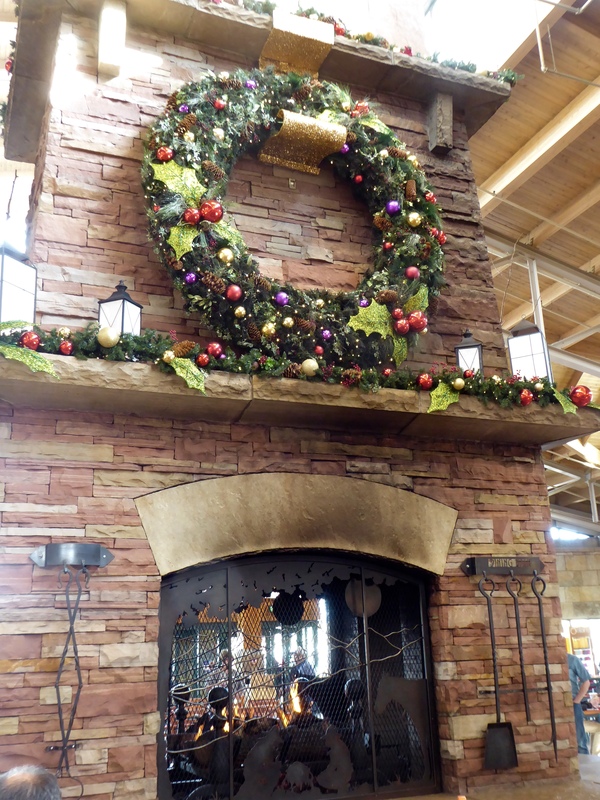 The fireplace, decorated with the wreath, makes everything cozy. 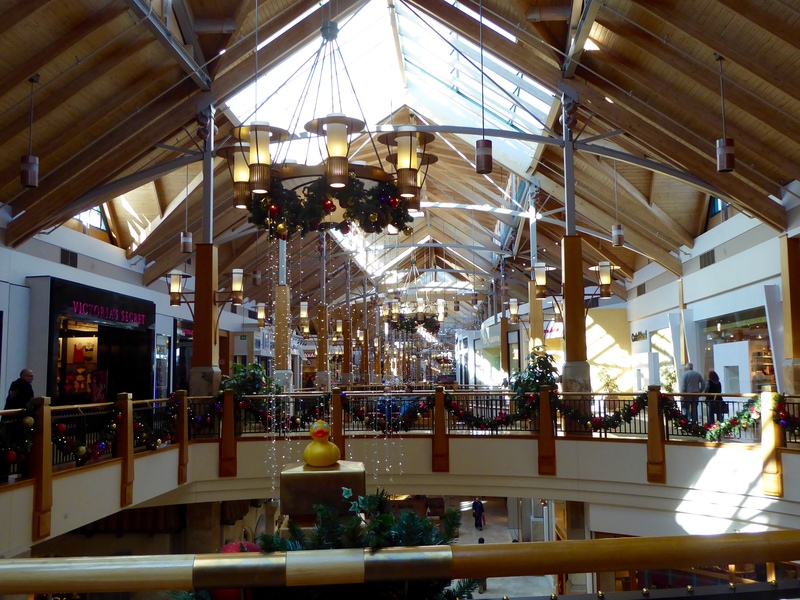 We really liked Park Meadows. 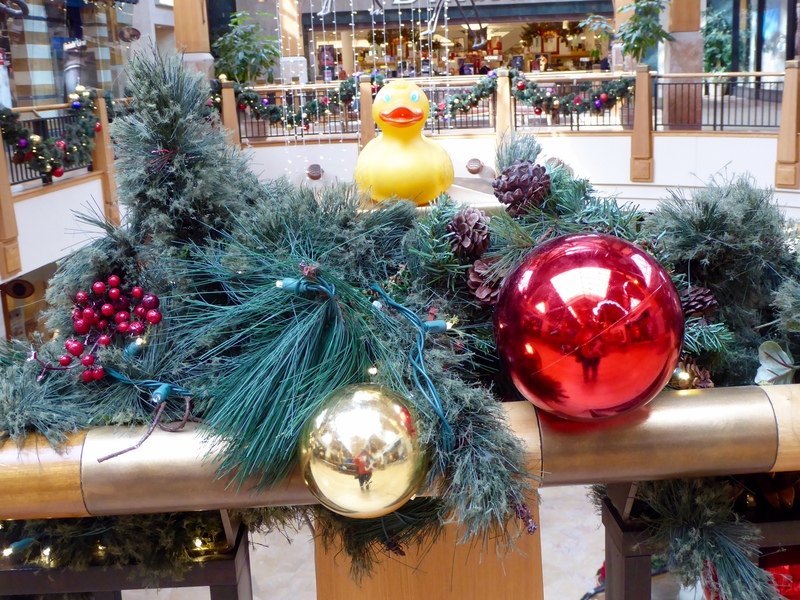 Now Soapy Smith Duck and I, Zeb the Duck, will show you what we saw at FLATIRONS MALL. 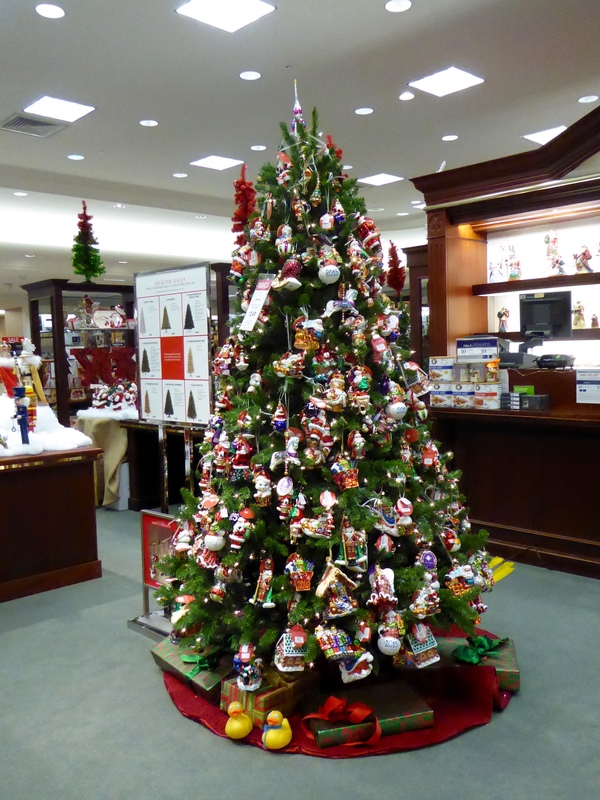 First we visited Dillard’s to see Christmas decorations. We liked this. Soapy and Zeb are under the tree, sitting on presents. Zeb and Soapy under the Christmas tree. Soapy, do not open the gifts!! 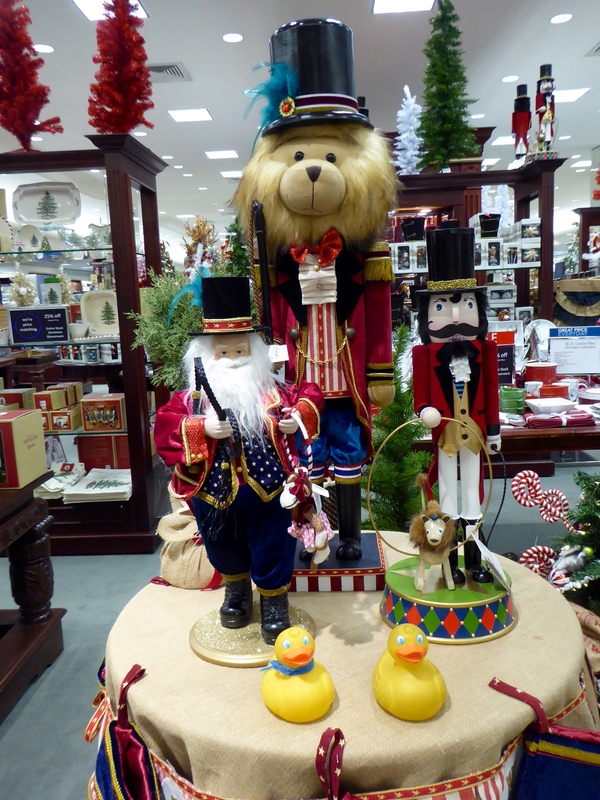 All of these decorations in Dillard’s are for sale. In the mall, we smiled at these lights. 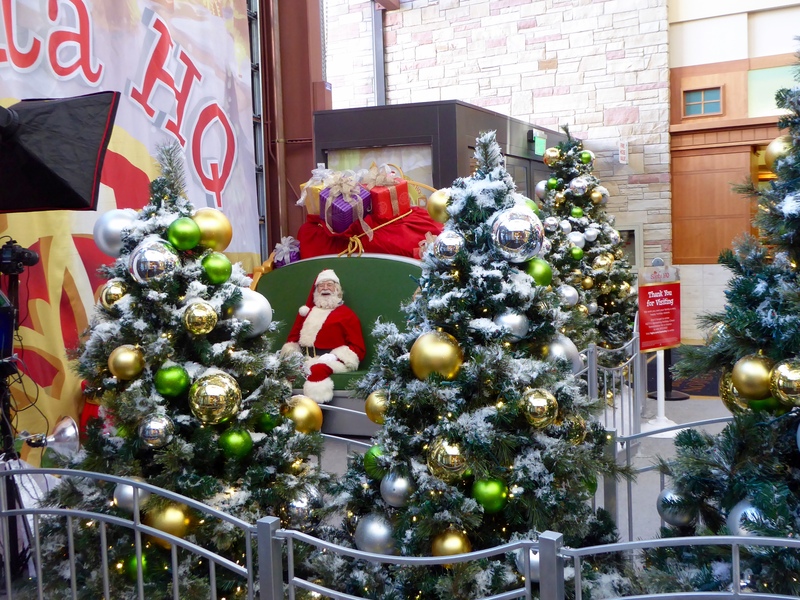 Flatirons Mall has Santa’s Observatory. 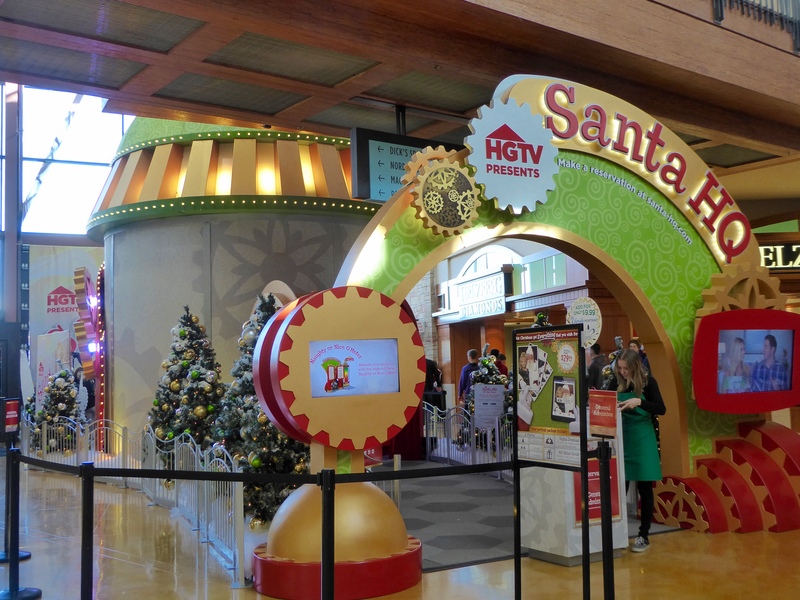 This is the entrance to visit with Santa. He smiled at us. Maybe we will find presents on Christmas morning. Zeb and Soapy headed to CHERRY CREEK MALL next. 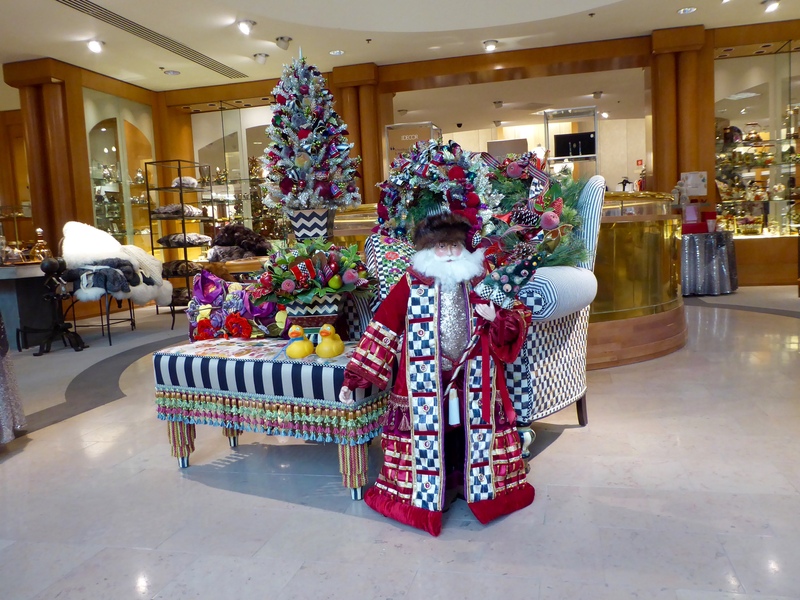 This Christmas display in Neiman Marcus caught our attention. Then we spotted the Ice Palace. 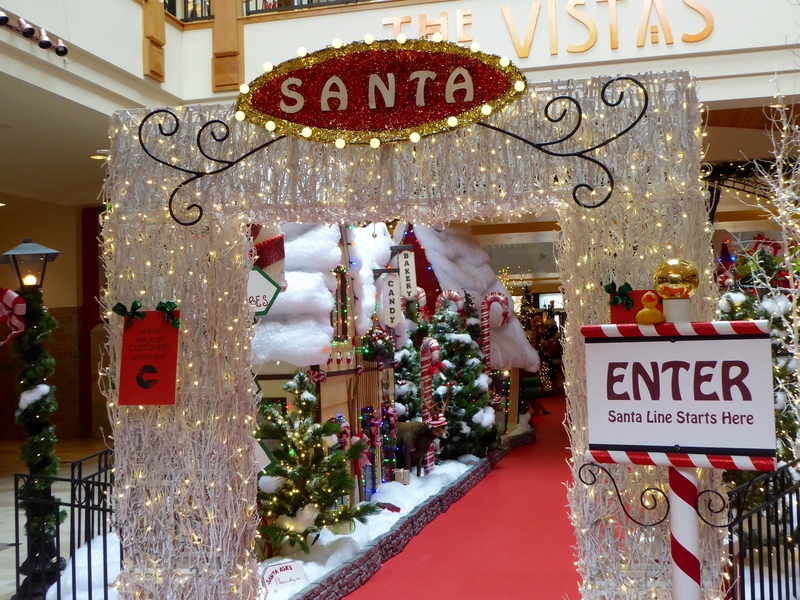 This is the entrance to see Santa. 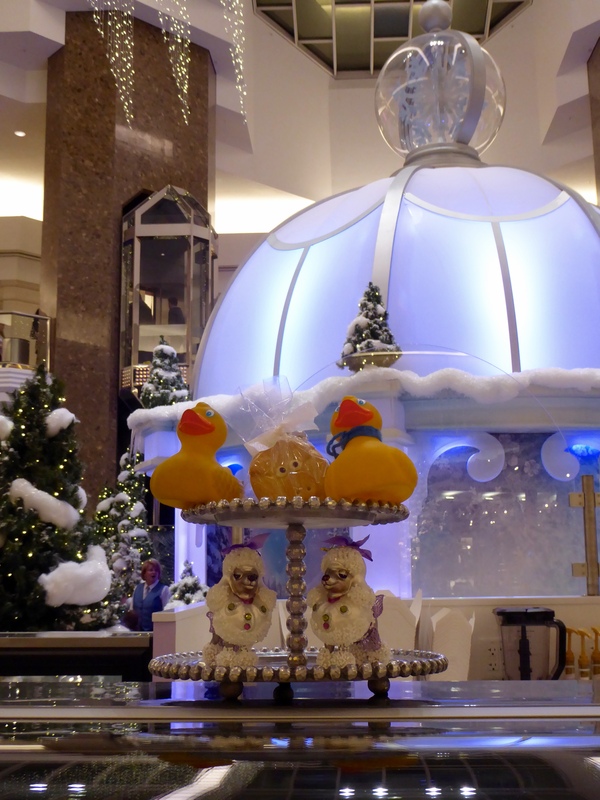 Zeb and Soapy discovered the trees surrounding the Ice Palace. The moms decided to get a cookie. We are getting this cookie! Great idea, we will all have a piece. We like to see the Christmas decorations. 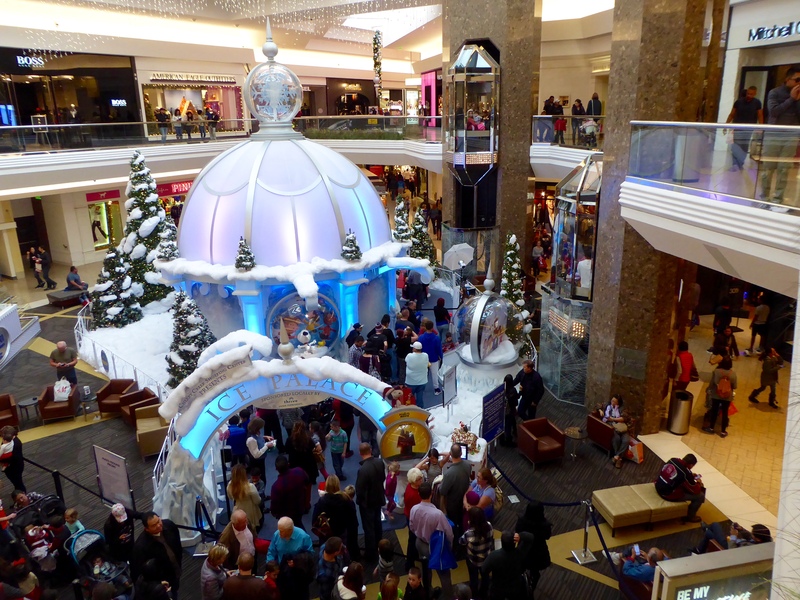 We hope you visited some malls near you this season also. They are beautiful. 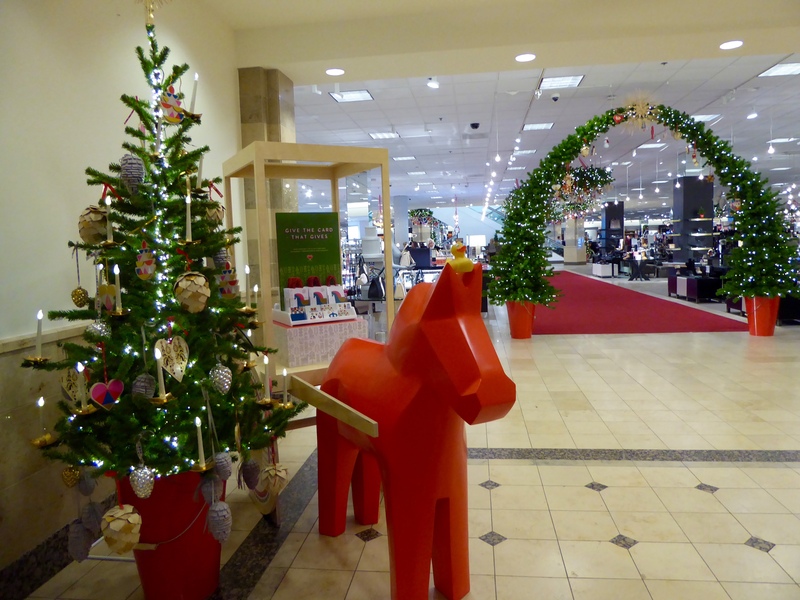 This entry was posted in Colorado, Holidays, Uncategorized and tagged Cherry Creek Mall, Christmas decorations, Colorado Traveling Ducks, Denver malls, Dillards, Flatirons Mall, Neiman Marcus, Nordstroms, Park Meadows Mall, Santa. Bookmark the permalink. Lots of fun Christmas photos here, thanks for sharing! Thanks for reading and commenting. We love Christmas and Christmas decorations. Adding to the Christmas feeling, we received 8.5 inches (about 21.5 cm) of snow last week. Most is melted in the city now, but it was beautiful. Merry Christmas!